Communication towers and data centers are everywhere. Disguised as the tallest tree in the area or a shed situated in the middle of a cow pasture, these carry important communications—from text messages to 911 calls to Facebook status updates. To operate, these towers need continuous power from either the grid or a generator. Having a backup battery bank is the critical link for bridging the gap between power interruptions. 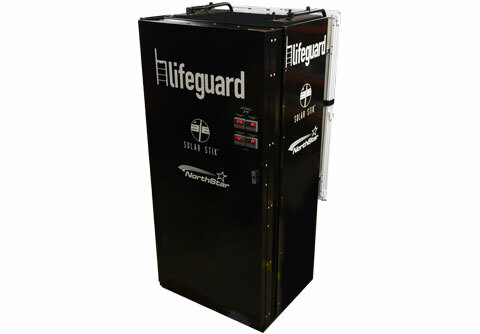 The LifeGuard battery cabinet is equipped with twenty (20) NorthStar 210FT batteries, ensuring more than 50 kWh of backup power is always at the ready. The LifeGuard is a climate-controlled battery cabinet. 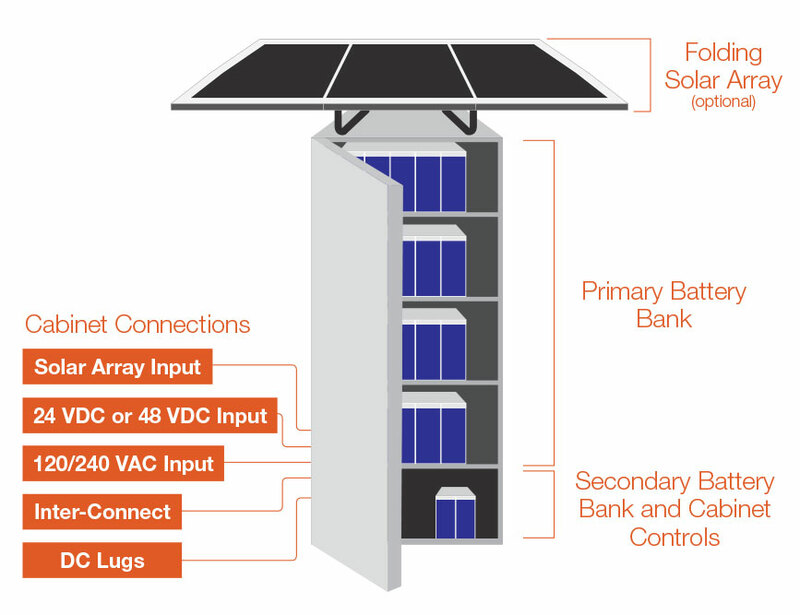 It maintains batteries at 77 °F (25 °C), the optimal temperature for extending battery shelf life and reducing gassing, which allows for placement of batteries in previously inaccessible locations. It is the only cabinet in its class that uses a secondary battery bank to power internal controls. Secured by locking doors and weatherized for punishing conditions, the LifeGuard can be supported by AC, DC, and solar power charging sources. It is the critical continuous power link for communications towers.